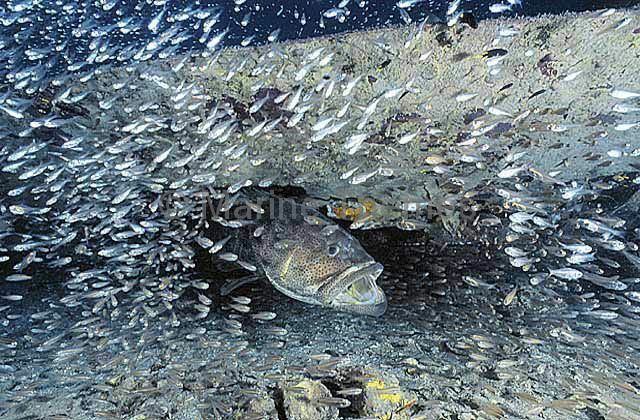 Estuary Cod (Epinephelus malabaricus) under wing of beaufort bomber. 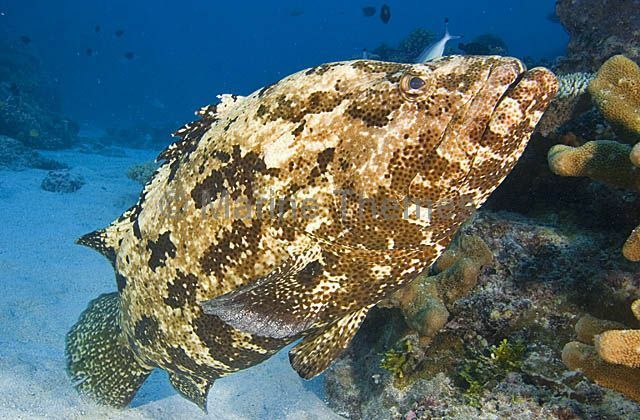 Threat display. 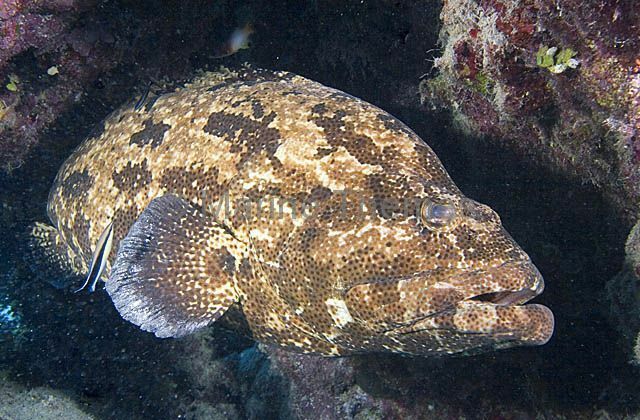 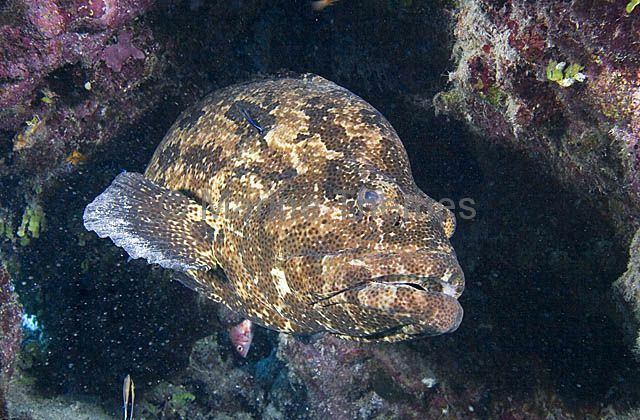 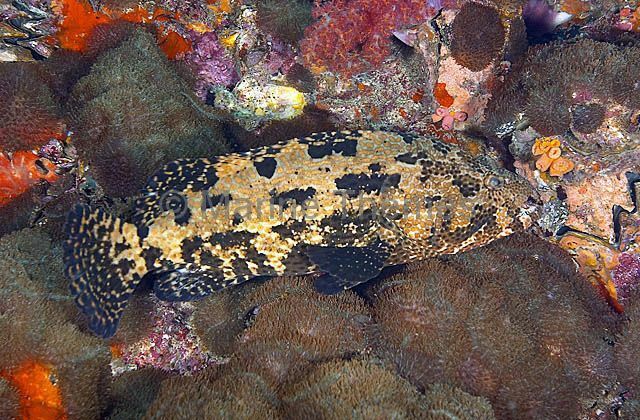 Malabar Grouper (Epinephelus malabaricus) resting in coral reef overhang. 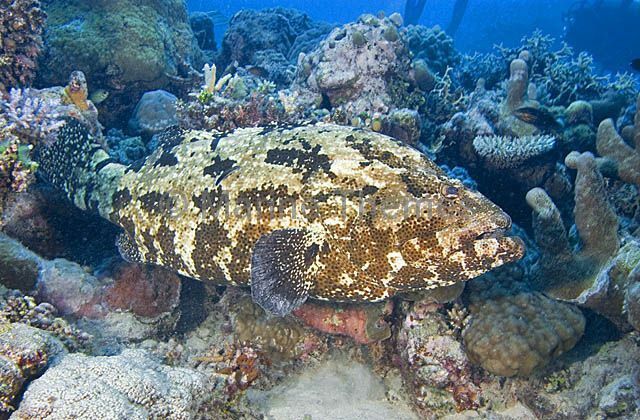 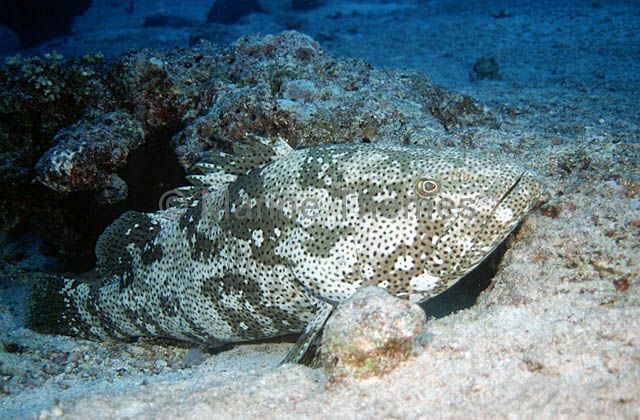 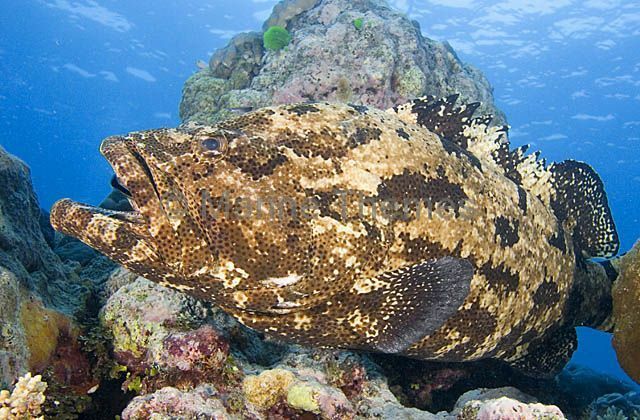 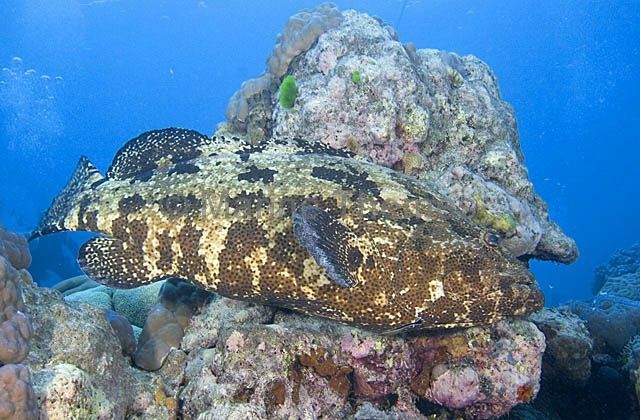 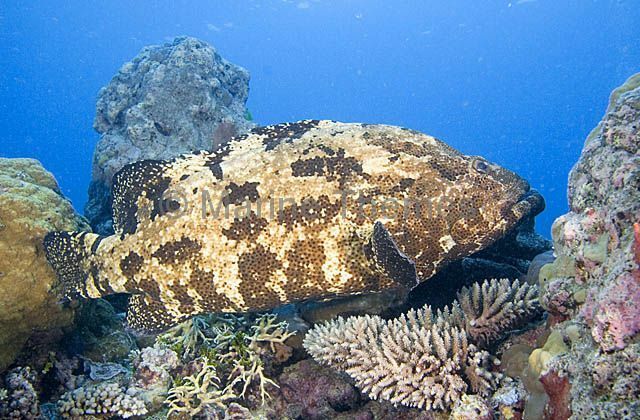 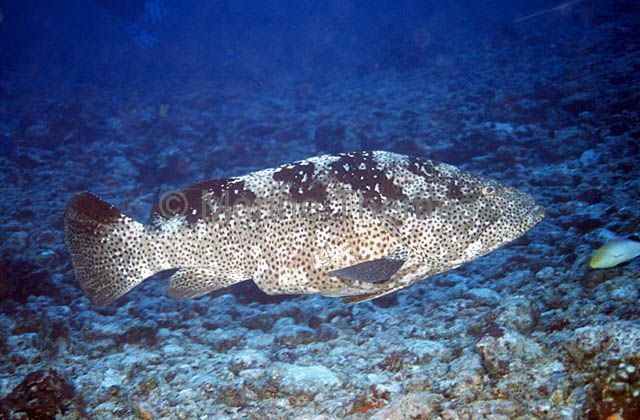 Malabar Grouper (Epinephelus malabaricus) on coral reef. 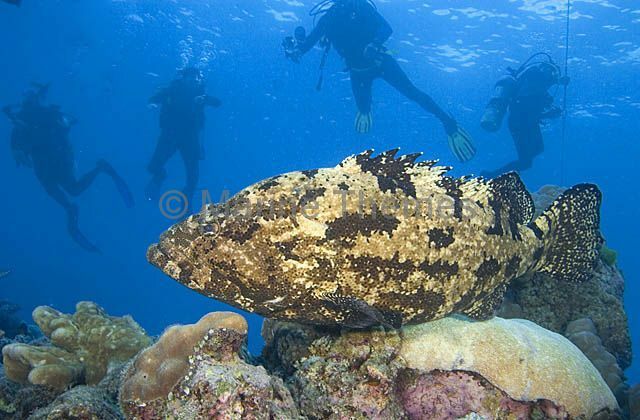 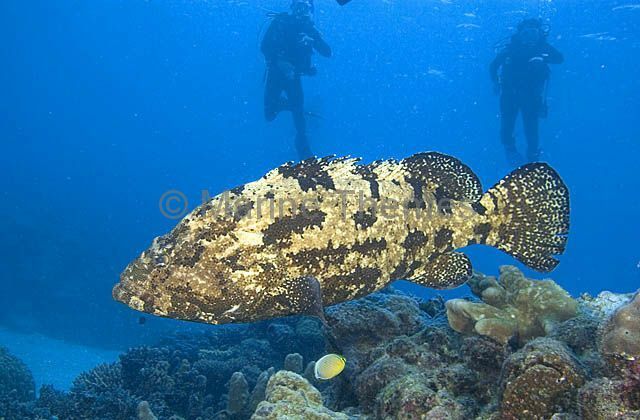 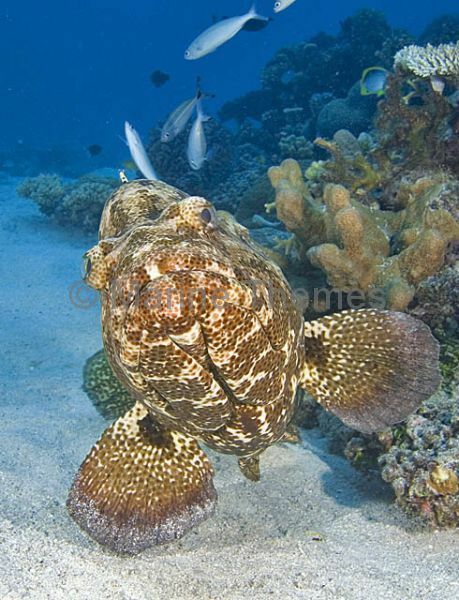 Malabar Grouper (Epinephelus malabaricus) and divers.